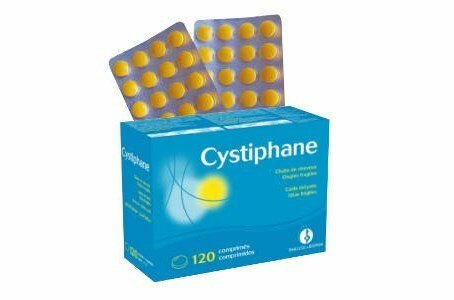 Cystiphane is a food supplement, with dual action to keep hair and nails healthy. Thanks to its formula enriched with innovative active ingredients, Cystiphane helps the hair and nails regain strength and vitality. Helps maintain healthy hair and nails, protected against oxidative stress, Cystiphane is the perfect combination for a beautiful and strong hair and nails. 4 tablets per day, to be taken in two main meals (2+2). Use in doses of 3 months, and repeat if necessary.